I indicated in my article on how re-print jamb slip that exam center and dates will be sent to all candidates today. So far, I have received confirmation from so many persons that they have received a mail containing their exam center and date from Jamb this morning. How do I know my exam date and State? All you need to do is login to the email account that you used to create Jamb profile and check the recent message from Jamb. On the other hand, you may just want to login to your Jamb profile to check and print-out your slip. 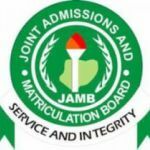 Have you seen your Jamb exam date and venue now? Let me hear from you via the comment box. After Jamb Exam Center, What Next? This is a very important question that should be asked by any Jambite who is eager to score extremely high in Jamb 2017.